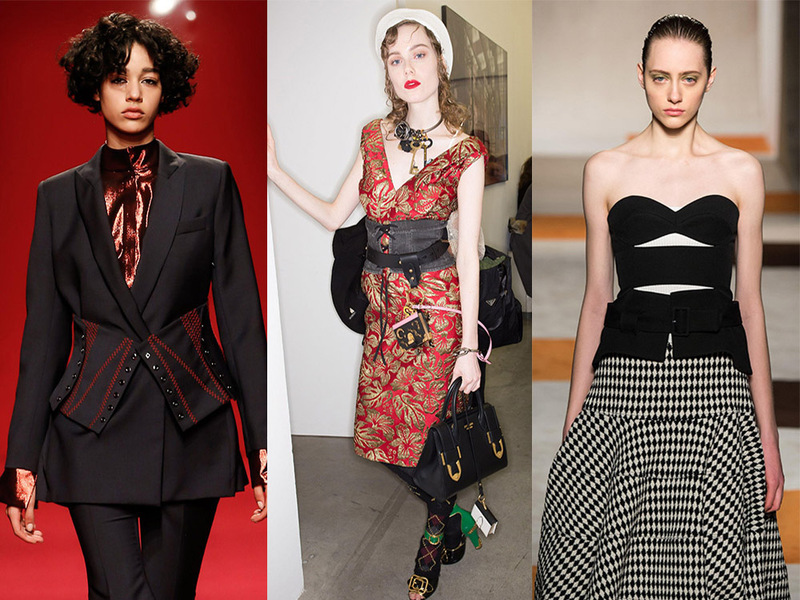 Stitch ‘em up: The corset is returning to form for AW16, with designers from Prada to Victoria Beckham offering new ways to wear the most storied of fashion undergarments as outerwear. But before you panic, dismissing the ‘uncomfortable’ and ‘archaic’ trend before it’s even taken off, listen to this; its role in your new season wardrobe is not to give you hyper-womanly proportions. Instead, the corset 2.0 is a belt-like tool, working to softly pull together your favourite AW16 layers in one, edgy new season twist. Because breathing is important to us, you see. 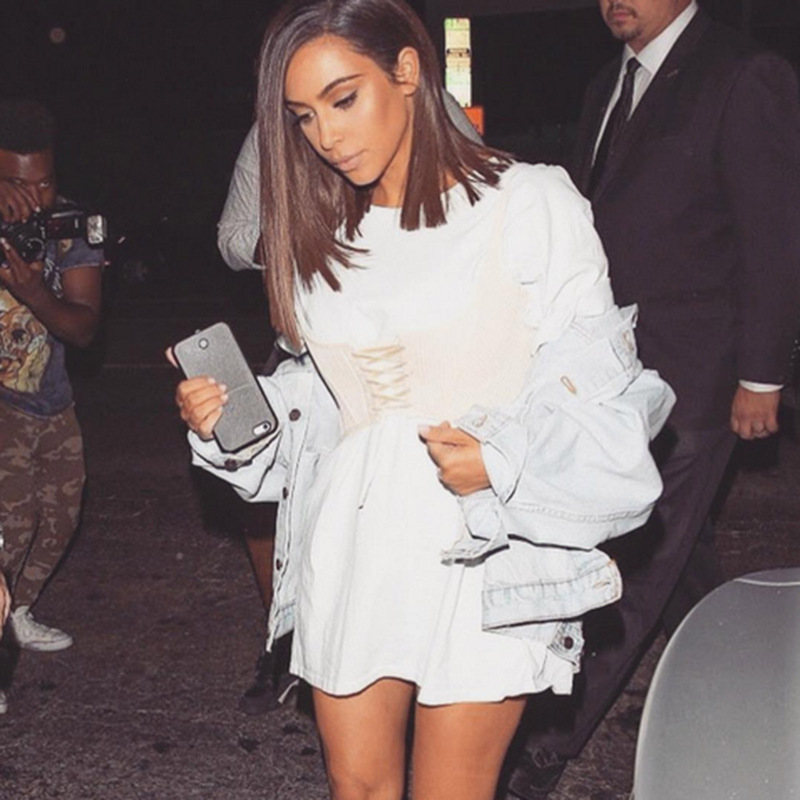 From celebrities like Kim Kardashian-West, below, to street style stars like supermodel Liu Wen, the trend is already being put into practice IRL. The first essential wardrobe injection of the new season, its got the transformative powers of any good It accessory – offering that instant ‘hit refresh’ feeling to sundresses, knitwear and classic white shirts alike. 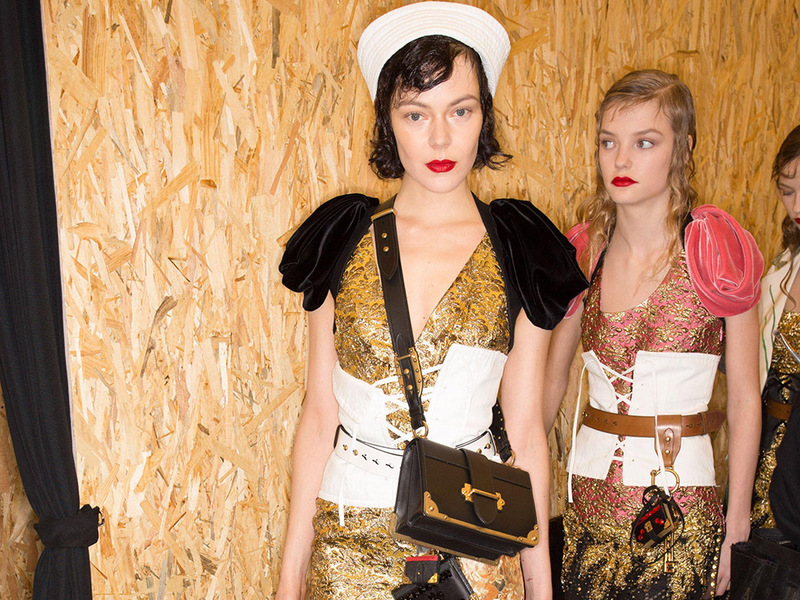 On the AW16 catwalks, Prada’s corsets took a nautical twist, made in soft white cotton and laced up half-heartedly like a (deliberately) scruffy kid’s trainers. Ellery’s, meanwhile, were almost completely open, loosely pulling together layers of coats, shirts, dresses and stoles in a clever styling trick. Forgetting the Marie Antoinettes and the it’s Britney b*tch incarnations of yesteryear, the new ‘undone’ corset feels so much cooler than any that came before. It’s been let loose, it’s not so highly strung – and it’s a key indicator of the designers’ wider obsession with new-age femininity. That said, we could definitely revisit some of our favourite corset-wearing icons of the past (like the above Victoria Beckham snap from 2008) just for reference, couldn’t we? See more of our picks in the gallery above.